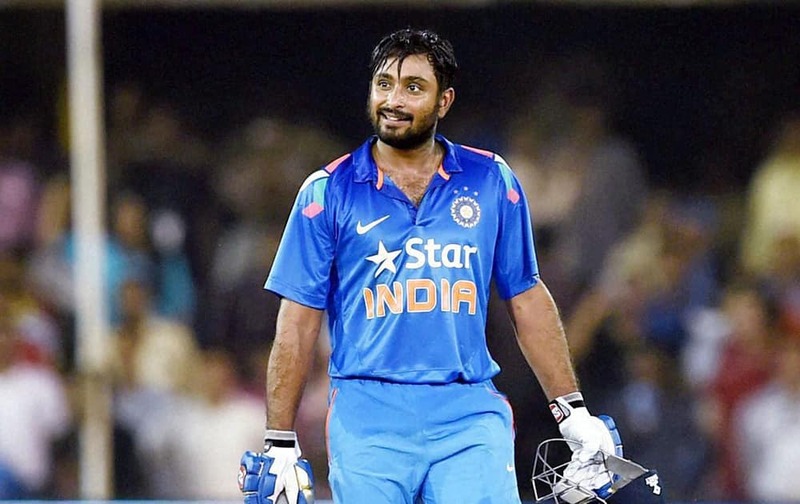 Rayudu reacts after completing his century during the 2nd ODI cricket match against Sri Lanka in Ahmedabad. 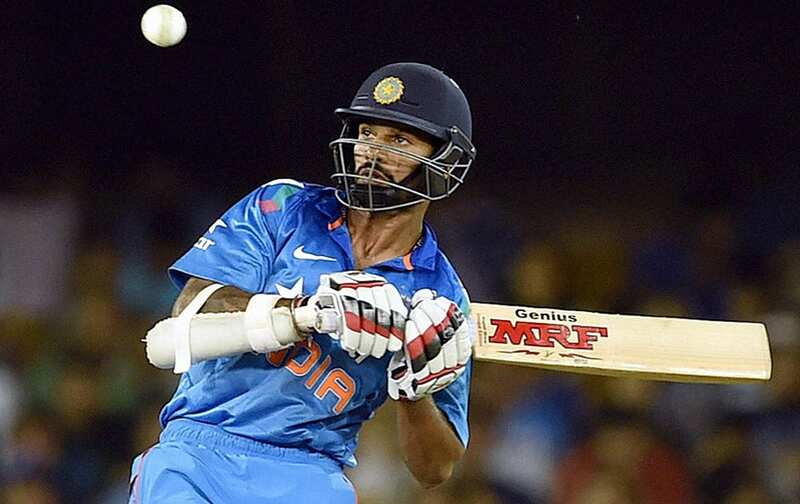 Shikhar Dhawan plays a shot during the 2nd ODI cricket match against Sri Lanka in Ahmedabad. 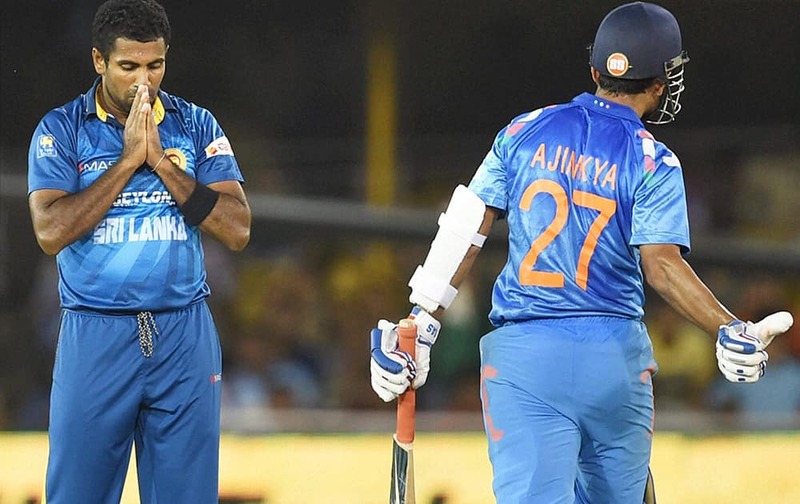 Sri Lankan team players appeal for the wicket of Indian Batsman Shikar Dhawan during the 2nd ODI cricket match in Ahmedabad. Sri Lankan bowler Dhammika Prasad celebrates the wicket of Indian batsman Ajinkya Rahane during the 2nd ODI cricket match played in Ahmedabad. 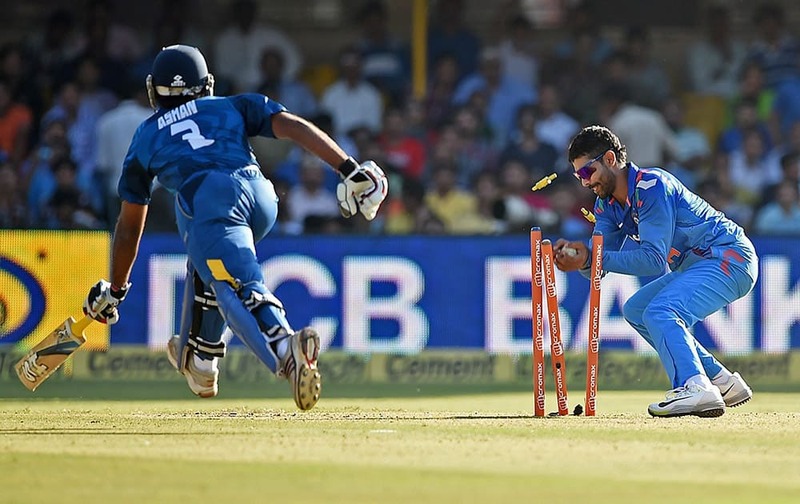 Ravindra Jadeja runs out Srilankan batsman Ashan Priyanjan during the 2nd ODI cricket match in Ahmedabad. Sri Lankan batsman Angelo Mathews congratulates Kumar Sangakkara on scoring a half century during the 2nd ODI Match against India in Ahmedabad. Sri Lankan batsman Sangakara plays a shot during the ODI cricket match against India, in Ahmedabad. Virat Kohli celebrates the wicket of Sri Lankan batsman Sangakkara during the ODI cricket match in Ahmedabad. 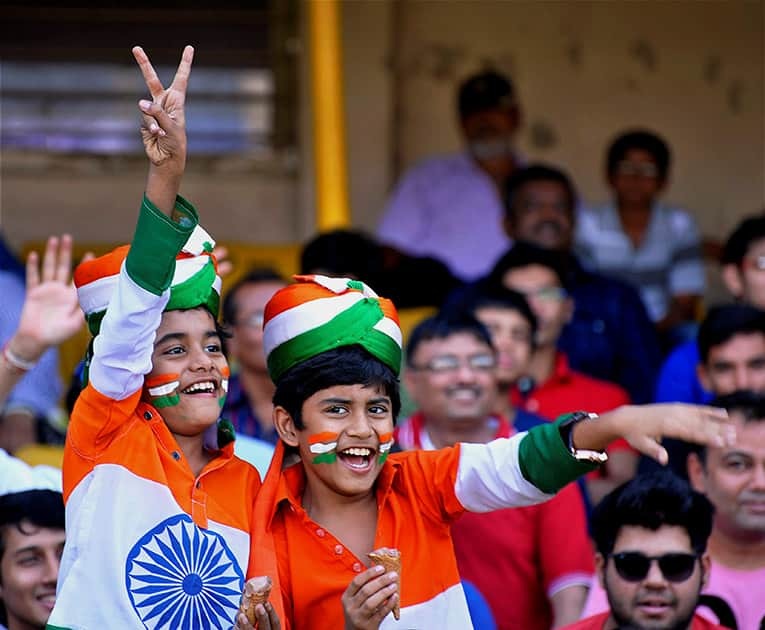 Young children cheer for team India during the 2nd ODI cricket match between India and Sri Lanka in Ahmedabad. 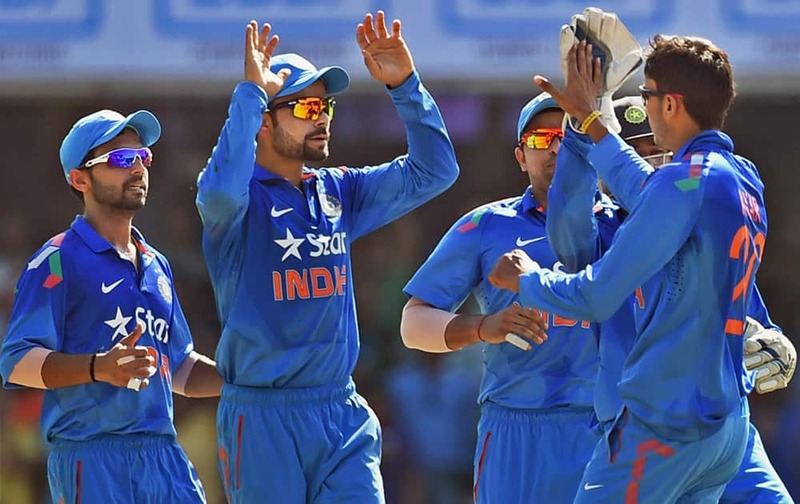 Players celebrate after taking the wicket of Srilankan batsman Kusal Parera during the India VS Sri Lanka ODI match in Ahmedabad. 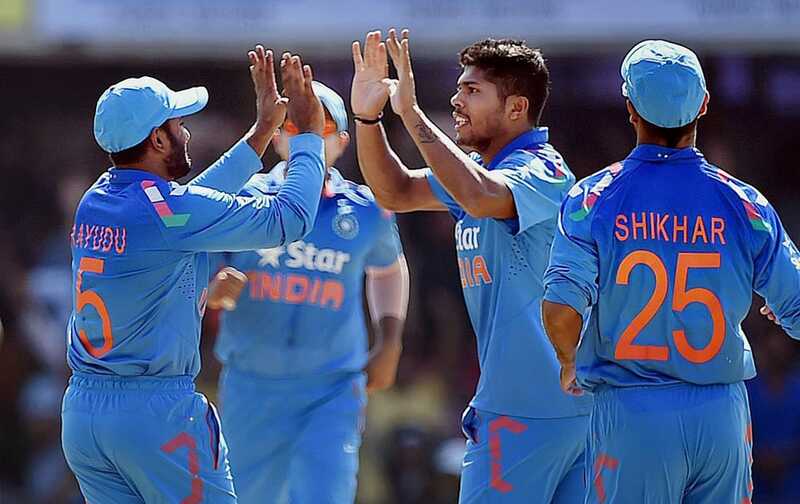 Players celebrate the wicket of Sri Lankas T Dilshan during the 2nd ODI cricket match in Ahmedabad. 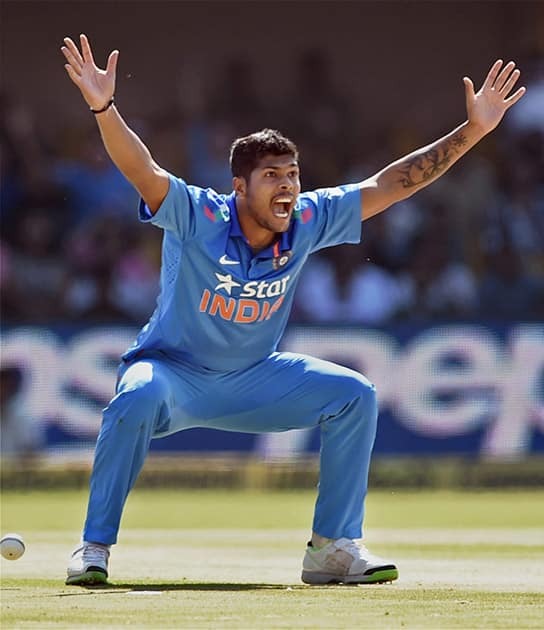 Umesh Yadav celebrates after taking the wicket of Srilankan batsman Kusal Parera during the India VS Sri Lanka ODI match in Ahmedabad.